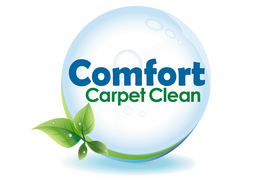 Comfort Carpet Clean is proud to offer services to Greeley, and the surrounding small towns of Evans, Kelim, LaSalle, Garden City, Kersey, Auburn, Alden, and Lucerne. Our Greeley Carpet Cleaning services is simply an extension from Fort Collins, and we are happy to be serving more Northern Colorado customers. We offer professional steam carpet cleaning, and are a family owned business, began in 2013 by David Johnson. Our mission is to not only provide the very best in services, but to offer the very best in customer service that you can imagine. Our service begins when you make the call or send us an email to inquire about having your carpets professionally cleaned. We ask questions to learn more about your issues, and needs, then find a time that will work for both of us. We take our time to perform your service, whether that is a simple carpet cleaning, or a more complicated upholstery cleaning or carpet repair job. Our goal is to make your carpets look and smell fresh, so when you walk barefooted, you feel like you are walking on a brand new carpet, not something that is ten years old. We may have to remove stains or any pet odors that have been locked within your carpets for a while, but we are confident in our services, and our ability to extract any stains or odors that may exist. Comfort Carpet Clean starts with vacuuming your home to remove any excess dirt that is on the surface. Then we proceed to spray your carpet with a cleaning agent that will get down into the fibers or the roots of your carpet. Once that is done, we begin our steam cleaning process, which extracts any water or cleaning solution that has been added by us. After your professional steam cleaning is done, we then dress your carpet to help the carpet recover and dry quickly. We look forward to serving all of our Greeley customers, and if you have any questions or want to get a free quote, please call us at 970-682-8119 today!